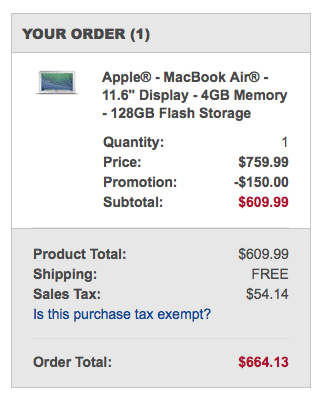 Go to Best Buy’s Student discount program here and enter in the .EDU email address. You’ll get a confirmation email and then after clicking the link, an emailed special code good for $150 off. Once you have the code, simply pick a MacBook Air (or Pro?) that’s eligible. Apple’s recently upgraded models now start at $799. The code will bring prices down to $649 and up! 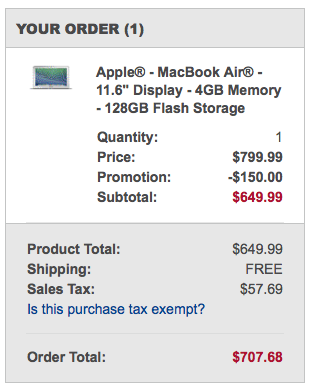 You can even pick up an open box Macbook for as little as $610.